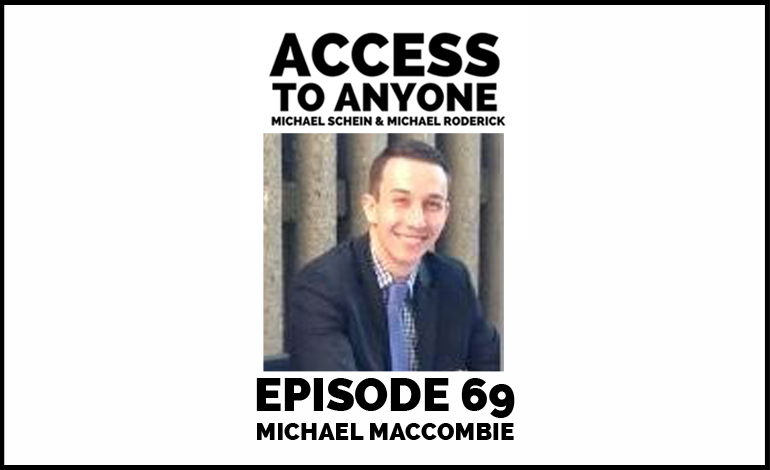 Michael MacCombie went from special needs teacher to top startup advisor and pitch extraordinaire by harnessing his passion for building supportive and powerful communities. In today’s episode, Michael shows us how to add genuine value to any relationship. He also talks about having a friends first, business later mentality, reveals why he hates the word “networking,” and shows us how to reclaim our professional and personal purpose. Michael MacCombie dedicates his life to building communities that are so deep, wide, and strongly knit, that the world could solve social issues or provide opportunities 10 times as fast with 1/10th of the work. He is a Managing Partner at Evertrue Ventures, a Brown University alumni investment group that supports companies that build or augment the power of community in their mission, with a focus on network effects. Prior to Evertrue Ventures, Michael was Head of Special Projects at The Influencers, and was a Corps Member of Teach For America.